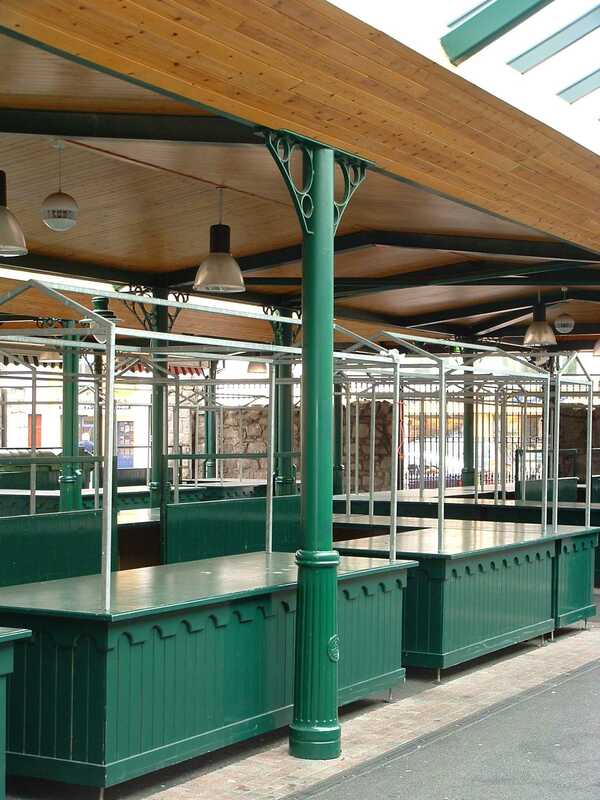 When it came to designing Newry’s Street Market, the challenge was to re-create ”old world” charm and character. 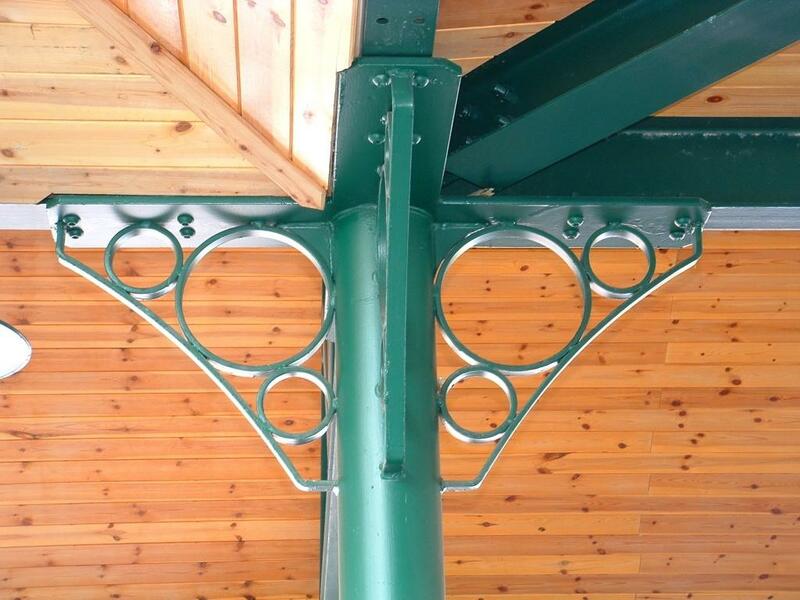 This was achieved through the use of Victorian style, steel columns that support the attractive timber paneled roof. The key to corrosion protection was Hot Dip Galvanizing. It has great advantages over other systems. 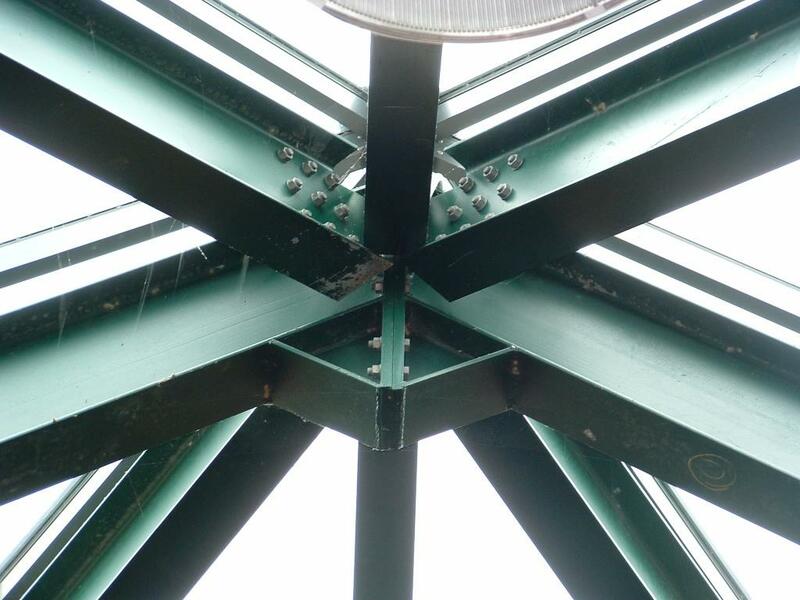 Firstly, the dipping process ensures that all the steelwork is protected inside and out. Secondly, the sacrificial action of the galvanized coating ensures that any local damage caused in the future would not spread as sideways creep of rust is prevented. The other great advantage of Hot Dip Galvanizing is its longevity. The corrosion rate of zinc is so slow that 80-100 years life to first maintenance is quite achievable in an environment such as this. Finally, to finish off the steelwork a topcoat of paint was required to provide the aesthetic appeal that was appropriate. The difficulty has always been to find a quality paint that would adhere well to the galvanized surface while also providing a tough, long lasting surface that would stand up to daily abuse and natural weather conditions. The answer to this problem was GALVACOAT® paint system. This is quite simply a top quality, 2-pack polyurethane paint system with unique binding agents that allow it to bond successfully with galvanized surfaces – immediately after galvanizing. 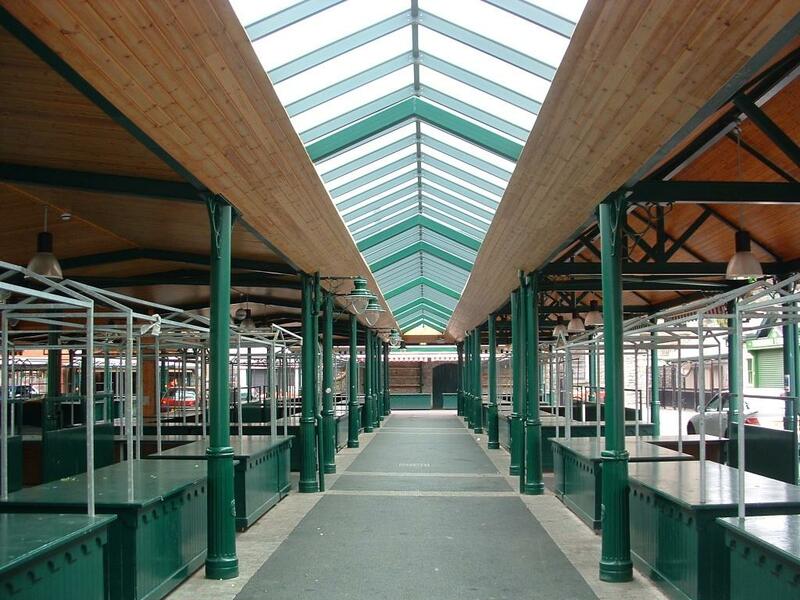 Steel Fabricator: Terence McCormack Ltd.